Surviving the Bed Bug Epidemic - Yes Pest Pros, Inc. Surviving the Bed Bug Epidemic - Yes Pest Pros, Inc.
For many years, people in western, industrialized countries thought that bed bugs were just a nasty little bit of history. However, it seems that these tiny hitch hikers have adapted to our modern means of travel pretty well. Bed bug infestations are at an all-time high, even in the US. Homeowners must use every pest control measure possible to prevent bed bugs and treat their home should any sneak inside. The first thing a homeowner should know is what bed bugs look like and where they like to hide. 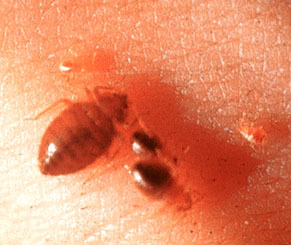 An adult bed bug is about the size and shape of an apple seed with the same dark coloration. However, they can be much smaller in their juvenile state. Their eggs are so small as to be nearly invisible to the naked eye. Bed bugs are adept hiders. They are small enough to fit into the tiny space where furniture component fit together, behind baseboards and in the seams of a mattress. This is part of the reason they are so hard to kill. Evidence of bed bugs is easier to spot. Look for small, itch, red bumps on the skin. These are the bites bed bugs leave behind after feeding. Black or reddish brown blood specks can often be seen on sheets and mattresses. You may also see bed bug excrement, which looks like black pepper flakes. This is one case where prevention is the best means of pest control. Keeping bed bugs from getting into your home is much easier than getting rid of them once they have established an infestation. Here are some prevention techniques. Close windows at night and keep screens well maintained. Check out www.bedbugregistry.com before travelling to see if there have been reports of infestation in that area. Examine hotel and motel mattresses carefully for the evidence listed above. Keep suitcases off the floor and as far from the bed as possible. Do your travel laundry right away and dry it on high heat. Vacuum your luggage in the garage when you arrive home, emptying the bin into the outside receptacle immediately. So how do you get rid of bed bugs? Treating for an infestation is really a job for a professional exterminator. They are very good at getting away from sprays and other methods typically used by homeowners. There are some more efficient ways available to the pros for removing bed bugs. Heat treatments are one of the most effective chemical-free methods available. This treatment can be performed without evacuating the premises, is non-toxic for humans and pets and kill bed bugs in all stages of development. If you suspect that your commercial or residential property has a bed bug problem, call Young Environmental Solutions, your Bloomington pest control company, immediately.